If you guessed the farm egg is to the left, you are CORRECT. 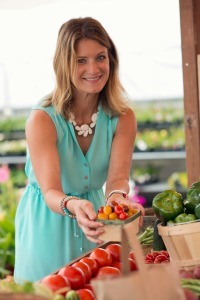 How do we compare farm eggs to commercial eggs? What do we look for? 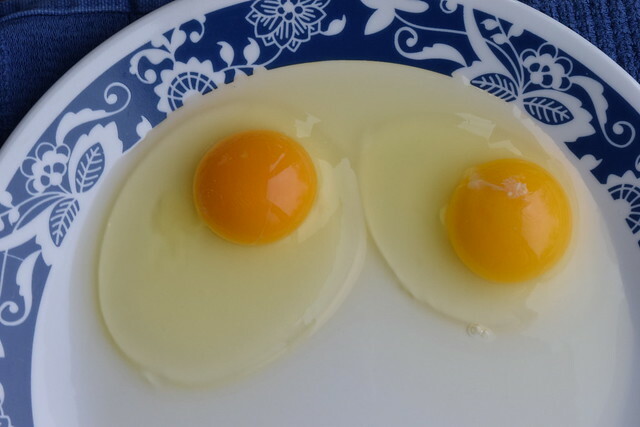 The yolk color of the farm egg (left) is darker meaning more nutrients! 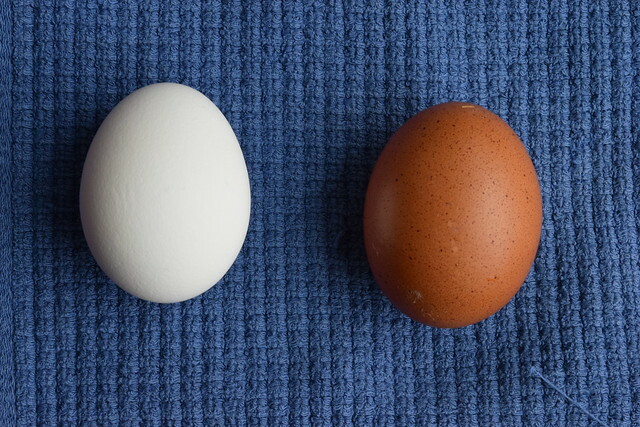 The white of the farm egg (left) is larger and sits up firmer on the plate meaning its more fresh. When the white runs all over the plate, the egg is old. So… Who wins this battle? You decide. 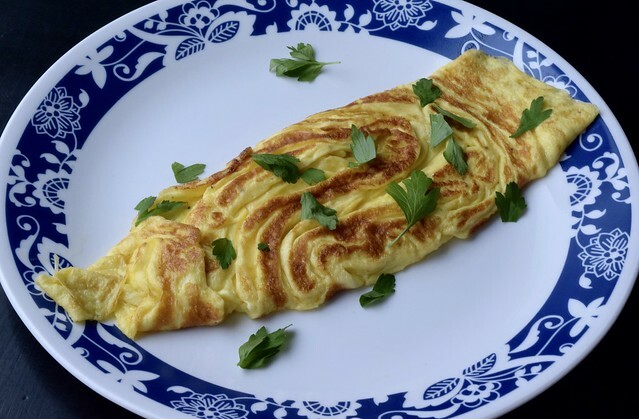 Having the skill to create something as simple, but elegant as a French Omelette will take you very far as a host in the kitchen. One Sunday afternoon, impromptu, I invited visitors for brunch after church. Nothing was planned, shopped for or prepped. However, I knew I had amazing fresh eggs, cream and herbs. I threw bacon on a sheet pan, into the oven at 400ºF for 20 minutes. Some water boiling on the stovetop for CSA greens from the garden. Meanwhile, I got to cracking and whisking eggs. Everything came together in about 30 minutes. Every morsel was divine because it was quick, spanking fresh, and shared with friends. Can easily be multiplied for a crowd! Heat a 7" to 9" heavy bottomed skillet over medium-high heat. Have your dinner plate near the stovetop. Crack eggs into a small bowl. Pour in cream. Season with salt and pepper. Whisk madly, as if life's chaos can be solved by whisking these eggs. There - don't you feel at peace? Drop a dab of rendered pork fat or clarified butter into the hot skillet, tilt skillet to completely cover sides with hot fat. Once fat is sizzling, quickly pour in whisked eggs. Pretending you have a clock on your skillet, pull eggs from 12:00 to the center, tilting the skillet to fill in the gap. Pull from 3:00 to the center, tilting and filling again. Pull from 6:00 to the center, tilting and filling. Lastly, pull from 9:00 to the center, tilting and filling the gaps. Cook for 30 seconds. Flip the omelette edge nearest the handle unto itself, flip again, into thirds. Roll off the skillet unto a plate. Serve with fresh herbs and kimchi. To make for a crowd: Set oven at 180ºF. Place a large serving platter into warm oven. As omelettes come off the skillet, drop unto warm platter. Will hold for 30 minutes. Wait to garnish with herbs until serving.